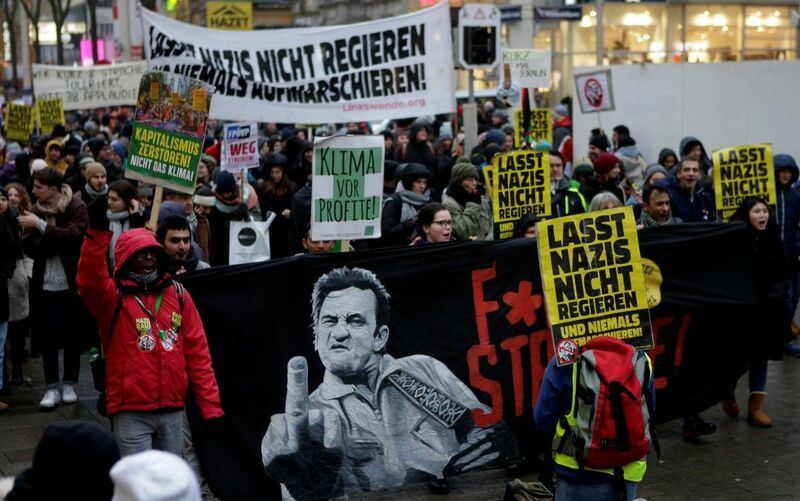 Thousands of demonstrators took to the streets of Vienna on Saturday to protest the inclusion of a far-right nationalist party in the country's new government, according to Deutsche Welle. Chancellor Sebastian Kurz's right-of-center People's Party (OVP) has formed a coalition with the far-right Freedom Party (FPO), which has extreme right-wing and neo-fascist ideas. Kurz insisted the government will be pro-European and called for a wait-and-see attitude from doubters. The government has taken a hardline against migration, DW reported. "Our country will not be taken over by these new fascists," shouted Michael Genner, a member of the Platform for Humane Asylum Policy, during the protest. Read alsoProtests in Vienna as Europe’s youngest head of gov’t sworn inPolice estimated about 20,000 protesters descended on Heldenplatz (Heroes Square) in the city center. Protesters dubbed themselves the "New Year Welcome Committee." Among the groups joining in the march was the Offensive Against the Right and the Platform of Radical Leftists. Some demonstrators carried placards reading "Never Again" and "Don't Let Nazis Govern" (pictured at top: Lasst Nazis nicht Regieren). Others chanted slogans such as "Refugees should stay, drive out the Nazis." They also called for European governments to boycott meetings with FPO ministers. Kurz campaigned on a platform of limiting immigration. His OVP has been in government for years but usually as part of a right-left coalition with the left-of-center Social Democratic Party. But tensions between those two parties last year forced them to part ways.